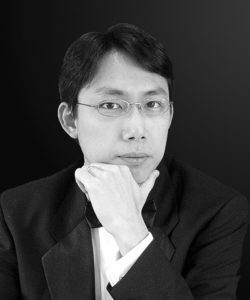 Sean Yung-Hsiang Wang is a violinist, conductor, and music historian. His repertoire ranges from Baroque music (on period instruments) to contemporary compositions. American Record Guide has called him “a brilliant violinist” whose “quality [of] playing is exceedingly high.” Having performed extensively in North America, East Asia, and Europe, including performances at Carnegie Hall and a private concert for Vatican officials during Pope Benedict XVI’s visit to Mexico, he currently teaches at the Longy School of Music of Bard College in Cambridge, MA, where he is Music Director of the Longy Conservatory Orchestra, Chair of the Strings Department, and a member of the violin faculty. He has worked as Violinist-in-Residence with the Guild of Composers in New York City, concertmaster with Grammy-nominated early music group Ars Lyrica Houston, Interim Director of Bach Society Houston, and Founder/Director of New York Intercultural Music Society, which performs and commissions music with Western and non-Western elements. On the podium, he has led orchestras of the Juilliard School, Longy School, and Stanford University in performances of standard symphonic works as well as full-length operas such as Gaetano Donizetti’s L’elisir d’amore, Jacques Offenbach’s Les Contes d’Hoffmann, and others. As a musicologist, he has published book reviews, presented papers at international conferences, and served as a music critic. His recent recordings include a 4-disc, first complete set of Johann Jakob Walther’s monumental Hortulus Chelicus (1688) on Baroque violin, an album of music for violin, clarinet, and piano with Trio Solari (Centaur Records), and the first complete recording of Alessandro Marcello’s 12 Violin Sonatas (forthcoming). His principal teachers have included Rafael Druian (violin), Otto-Werner Mueller (conducting), and Jacques-Louis Monod (theory). He holds degrees from the Curtis Institute of Music (BM, violin), Juilliard School (MM, orchestral conducting, as a Bruno Walter Memorial Scholarship recipient), and Stanford University (Joint PhD, musicology and humanities).